The name Stokewell (first recorded in 1197) means the well by the stump or wood and comes from the Old English stocc + wella. There was a Stockwell Wood till the 17th century. 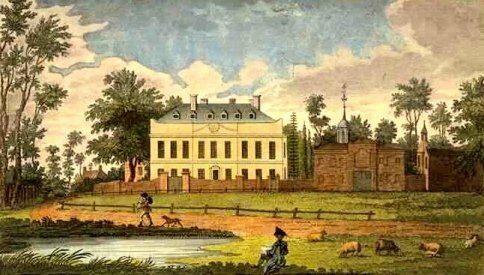 The manor of Stockwell was formed in the late 13th century, when King Edward I acquired the manor of South Lambeth and divided it into the two manors of Vauxhall and Stockwell. 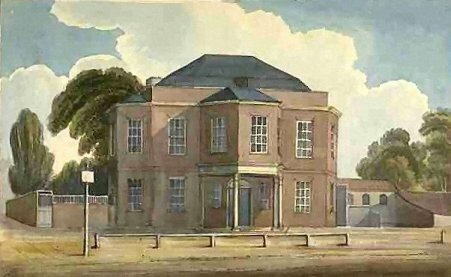 The oldest surviving buildings are St Andrew’s Church, Stockwell Green c.1767 and Stockwell Congregational Church c.1798. The New Queen’s Head in Stockwell Road retains its original late 18th-century building. 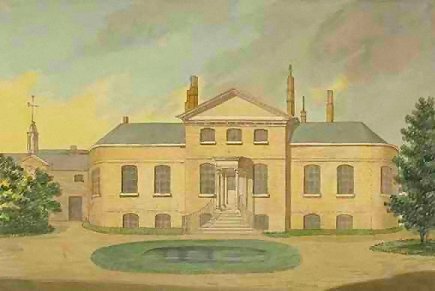 In 1825 a Cockney on a September outing described how he breakfasted at the Swan on the Green and pressed on to Blackheath by way of Brixton without ‘meeting anything beyond yellowhammers and sparrows’. City merchants built houses along the Clapham Road and Stockwell Road before the 1800s. Residential streets started being laid out in the 1830s, and most of the Stockwell Park area was developed during the 1840s. So that all that is left of the South Lambeth Common is the small triangle on which the War Memorial clock tower stands. Construction of the London Chatham and Dover Railway in 1862-3 accelerated the need for dense housing around the present Landor Road. Commercial development was concentrated along the Clapham and Brixton Roads, leaving Stockwell Green itself as a backwater. The City and South London Railway opened Stockwell station in 1890 providing easy access to the City.